1/2 day nearshore trips are 4 hours and can range from just off the beach out to about five miles and the usual catch is Spanish Mackerel, Bluefish, King Mackerel, and Sharks. 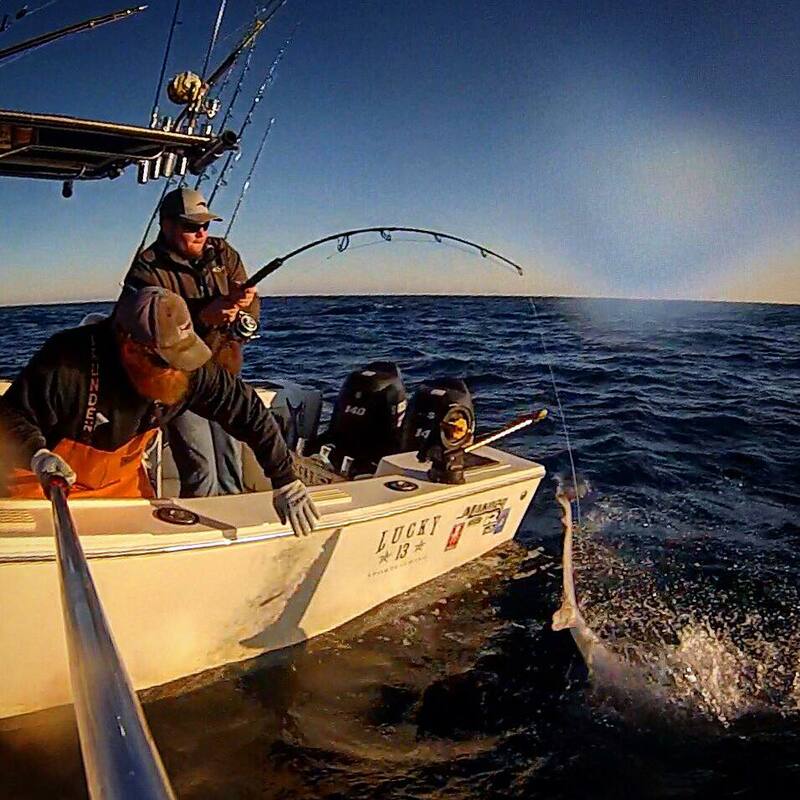 The 3/4 day offshore trips are 6 hours and range from 10-15 miles off the beach. 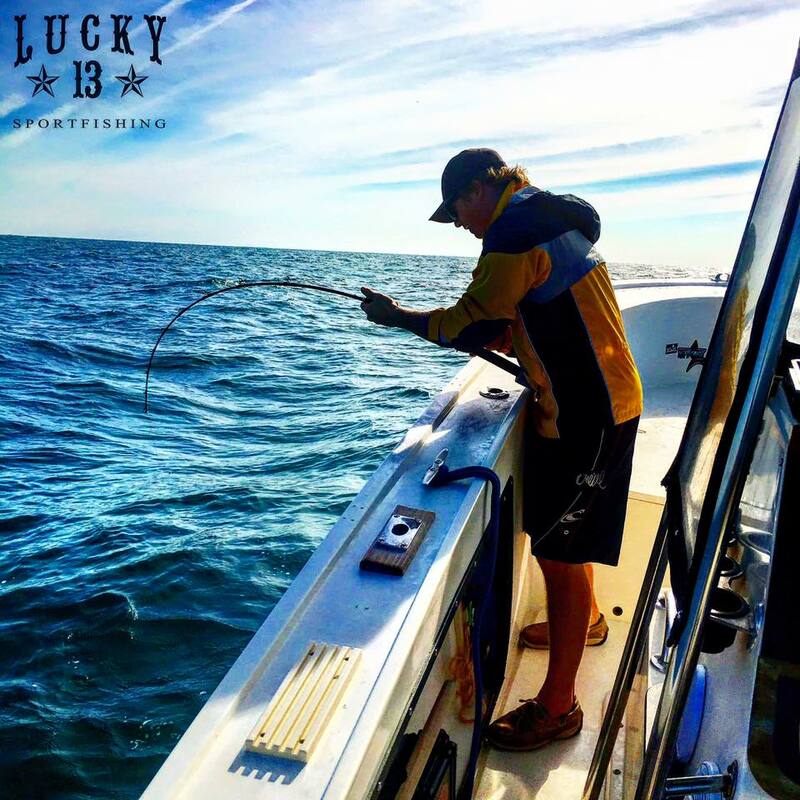 The usual catch is Amberjack, King Mackerel, Cobia, Sharks and the occasional Mahi Mahi. 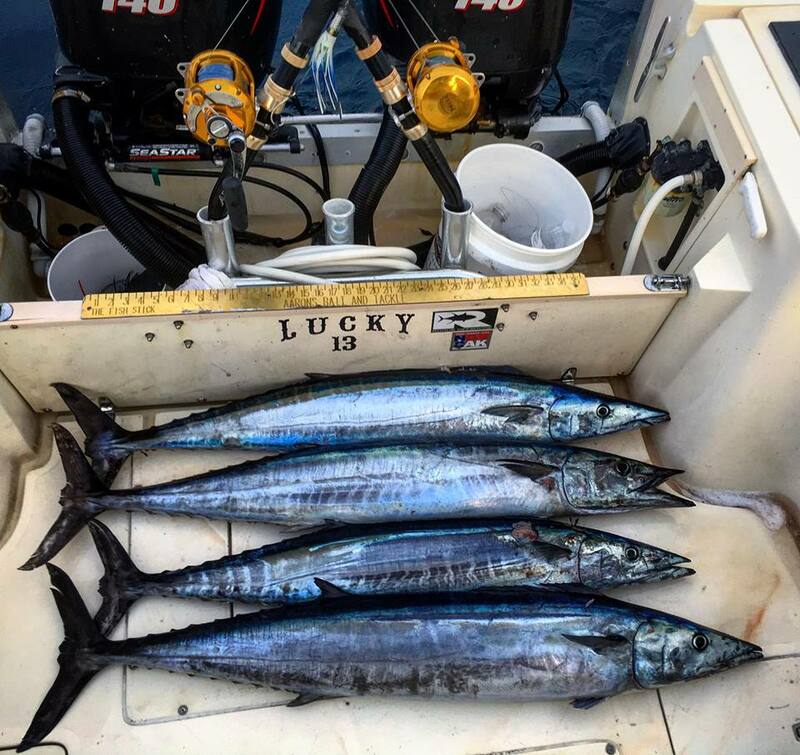 Full day offshore trips are 8 hours and range from 10 miles out to 25 miles and the usual catch is King Mackerel, Mahi Mahi, Cobia, Amberjacks, Sharks, and various bottom fish. 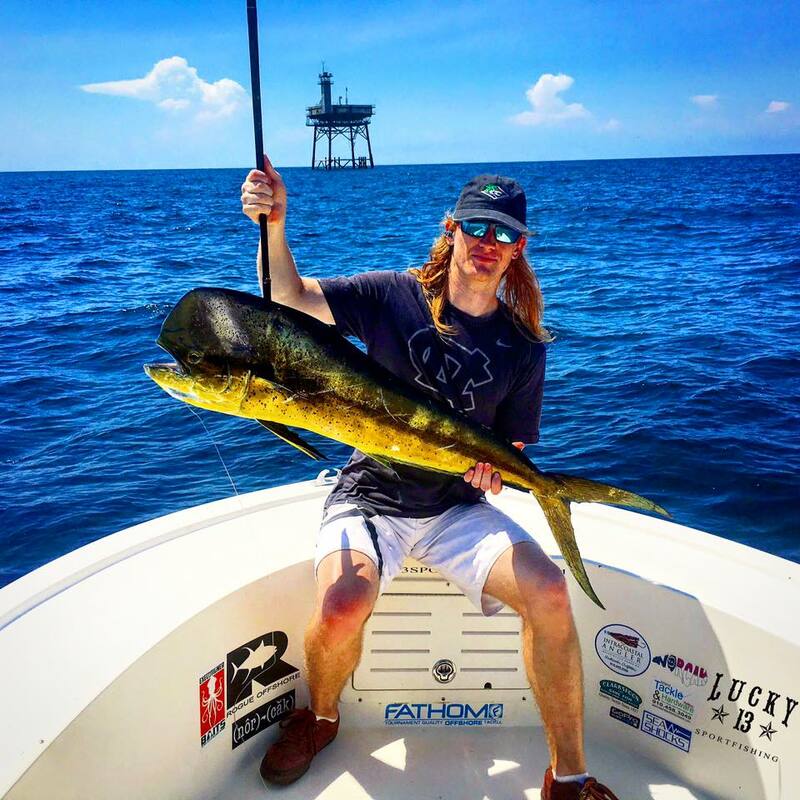 Spend a 10 hour day 30 to 40 miles offshore catching fish such as King Mackerel, Mahi Mahi, Cobia, Amberjacks, Sharks, Grouper, Snapper and various bottom fish. 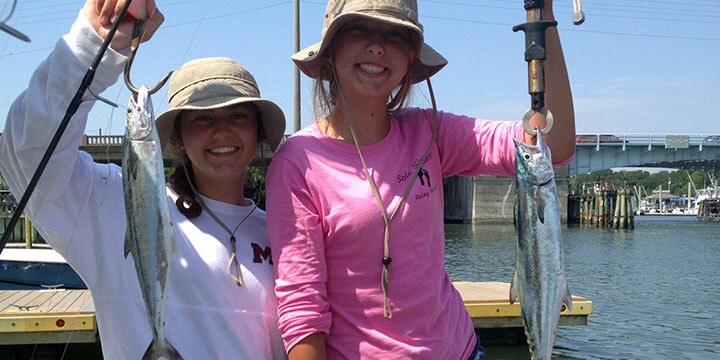 These Rates cover 1-4 people, bait, tackle, ice and fishing license. Add $50 for each additional person. Offshore and Gulf Stream trips are 4 person max. Bald Head Island pickup available, call for details. Gulf Stream trips usually last 12 to 13 hours and target Wahoo, Tuna, Mahi Mahi and Sailfish. We also offer vertical jigging for African Pompano, Tuna, Amberjack and bottom fish. To give you more room to fish, please do not bring any large coolers. Leave your cooler in your vehicle and bring your drinks and food to the boat in a grocery bag and put your items in our cooler full of ice. Please DO NOT bring any aerosol spray sun screen on the boat, the overspray makes the deck EXTREMELY SLIPPERY. My goal is to always have a safe and fun day on the water. There will no charge if the trip is cancelled due to inclement weather. This determination is made at the sole discretion of the Captain. No show and no call the day of the planned charter will result in 100% of the charter being paid in full and cannot be credited to a future trip.